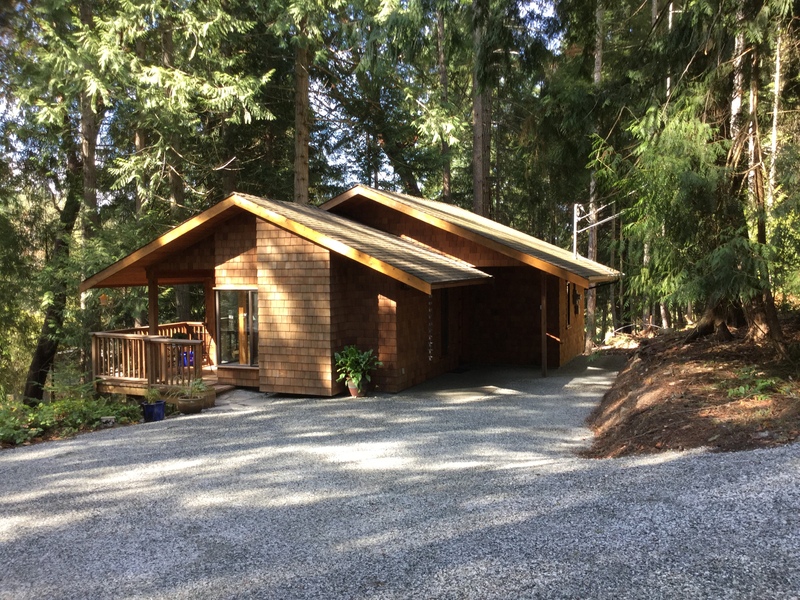 Come and relax in A Cottage Amongst The Trees in beautiful peaceful Vesuvius on Salt Spring Island. A beautiful natural setting yet so close to all amenities such as restaurants, shops, hiking trails, ferry and bus service. We are only a 5 minute car ride to the beach and the Vesuvius ferry. The Salt Spring bus route is only a few minutes walking from the cottage. Our 3 acre property borders the Baker Ridge trail which is one of the many great hiking trails on the island. 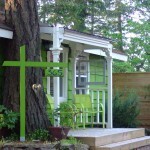 The cottage is a fully furnished one bedroom that sleeps 2 adults with views into the forest. A luxury queen bed with queen pillows and lovely Egyptian cotton sheets, fluffy bath towels, washer and dryer along with Wi-Fi, Bluesky cable TV, an electric fireplace, telephone and many other features are there for your use. Beach chairs, a cooler and towels are available for those days on one of the many lakes or beaches. The private deck that overlooks the property is a great place to enjoy your meals that you have prepared in the cottage or on the BBQ. Also enjoy the complimentary goodie basket. A short ride into Ganges has restaurants, art galleries, and many other shops for your pleasure. The Saturday market in downtown Ganges is not to be missed. Kayaking, hiking and many other adventures await you should you chose to go and explore the rest of the island.